A Netflix Inc executive promised on Sunday a “fitting end” to the streaming service’s acclaimed political drama House of Cards but did not divulge how the series wrote out scandal-tainted star Kevin Spacey. House of Cards put Netflix on the map as a home for original entertainment when the series debuted in 2013 starring Spacey as conniving politician Frank Underwood. The show’s coming sendoff centres on Robin Wright, who plays Frank’s devious wife, Claire. 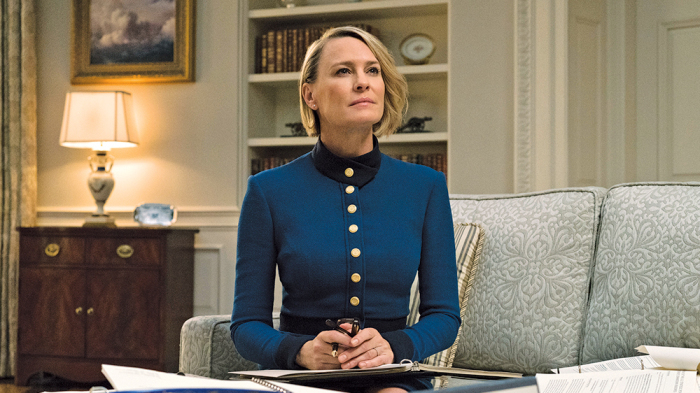 House of Cards upended television when Netflix released the first season’s episodes all at once to encourage online “binge viewing.” The show earned widespread critical praise. Five years after Netflix’s gamble with House of Cards, the company plans to release about 700 original TV series, movies and other types of programming around the world this year. The sheer volume has led to questions about whether Netflix can keep churning out programming with a high level of quality.